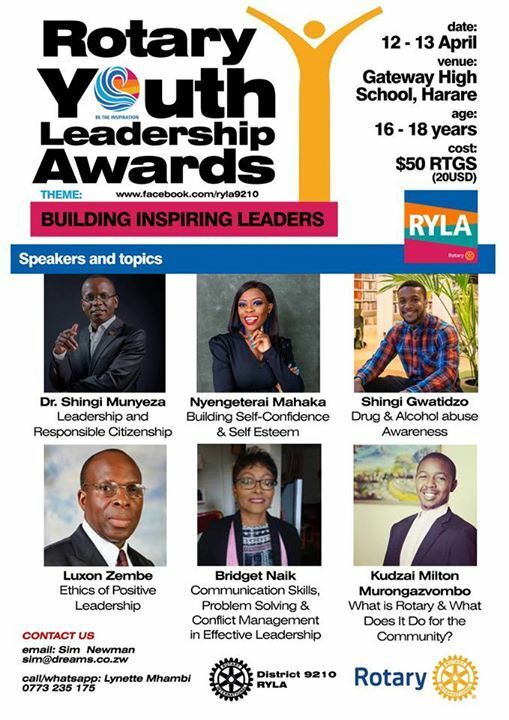 Invited Applicants: School Interact Club members, School Prefects and other leaders, and anyone with leadership potential. 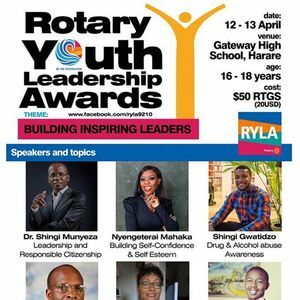 The program is fully sponsored by our Rotary District 9210 and some Rotary Clubs in Harare for selected Interact Club leaders but is also open to other self-sponsoring participants at a highly subsidised investment of RTGS$50 or USD20 (covering training, activities meals, certification) upon successfully applying to participate (As part of our Youth Protection Policy, printed application forms must be completed and by the applicant and their guardian). LIMITED SEATS FOR SELF-SPONSORING PARTICIPANTS, CONTACT US NOW FOR APPLICATION FORMS. Contact Lynette on her whatsapp number 0773 235 175 for details. For email communication, email c2ltIHwgZHJlYW1zICEgY28gISB6dw==.